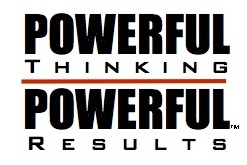 Powerful Thinking Powerful Results – #1 thing that can turn your thoughts into power instantly! It is estimated that each day we have more than 70,000 unique thoughts. So what is it that controls our thoughts? How does our mind select which thoughts to develop and which thoughts to ignore? How do the prominent thoughts become things? In order for thoughts to develop into reality they must be permitted to develop in the mind. As they develop they grow and are built upon. If the spark of thought continues to grow action can result. Action will then bring that thought into reality. Many of the thoughts that develop in the mind do not become a reality. We have all had thoughts that began as a brilliant burst of inspiration. Perhaps these ideas even got you excited for a few minutes, maybe an hour, a day or even a week… Then they faded away. Even though they started as powerful ideas they did not end up as a tangible reality in your life? How could an idea so bright and exciting turn dim or disappear altogether. Even more frustrating are the ideas that do not disappear. They anchor themselves in the back or your mind, they cling to you waiting for the day that you may act upon them. These are probably the most painful ideas. You know in your heart that if you did something with these kinds of ideas they would really make a difference in your life. What is it that holds us back? What is it that keeps us from creating the reality we are thinking about? One of the most significant factors that determines our reality are our expectations. What we believe could happen is the line that all thoughts must pass in order to become action. Taking action on a thought is the way it is translated into reality. Expectations can include what we believe a specific outcome will be, but also what we believe we are entitled to and how we believe we should act in certain situations. As expectations can often be based on past experience or pre-determined values often our expectations will cause our thinking to follow a similar course to what we have done in the past. We also see expectations at work in the movies. If I said Tom Hanks is in a movie what kind of movie do you think you’d be going to watch? What if I said Ben stiller? Would you envision a different kind of film? And when you went to see it how would you feel if it didn’t jive with your expectations? You’d be disappointed. In fact, Hollywood has seen a lot of movies over the years that didn’t make it simply because they changed the formula, or constructed a story with an actor contrary to your expectations. Entitlement is also an overlooked element of expectations. What you feel you are entitled to will dictate your thinking on certain matters. There was a study conducted some years ago to determine the role that sacrifice or activity had on entitlement. The experiment involved two groups. One group was given a variety of tasks to complete and then after completing the work, was ushered into an empty room with a table and chair. On the table was an envelope with $50 bill and the words thank you written on the envelope. The second group was simply ushered into the room. They had no work to do. The same envelope rested on the table. The majority of people in the first group that had done the work felt that the envelope was left there for them and it was payment for their efforts. Most in the second group felt the envelope was meant for someone else and it was probably left there by mistake. Work, sacrifice and effort give the mind a sense of entitlement. Entitlement is a mysterious thing. I often encounter people who feel that they have not yet paid the price to have what they want, to be who the really feel they should be, or have the relationships they deserve because they have not sacrificed what is required. This is a victim mentality and it keeps many from acquiring the reality they truly desire. The next expectations are expectations about how we believe we should act. I have seen examples of this at numerous seminars and motivational events. This lesson is often used by the speaker to teach people to think differently and to consider that there are often more direct routes than those we initially consider to solve a problem. This is how the scenario plays out, the speaker typically takes a prize (I’ve even seen it done with $100 bill) and simply holds it up and asks “Who would like to have this prize?” Naturally a number of hands raise within the group. He asks again, “Who wants this prize?” Still more hands are raised in the group and often people begin to get a little excited. At this point the speaker asks again with more intensity in his voice, “Who wants the prize?” By this time the audience usually gets it and an audience member actually leaves their set and comes to claim the prize. Again this is a great example of social expectation. Why won’t we leave the seat instantly to claim the prize? We don’t leave our seat to get the prize because we question ourselves. Is it the right thing to do? What will others think of me? Is it proper? We ask ourselves similar questions on a daily basis that and as a result we prevent ourselves from acting on the thoughts that will empower us most. In a study of the most successful businesses and inventions of all time, you will find that the majority of these successes are innovations on existing ideas. I always get a smile when I hear that Thomas Edison is considered the greatest inventor of all time. It isn’t true. Every major invention that he produced from the light bulb, to the phonograph to the motion picture camera is an innovation on a earlier effort by someone else. You can be an innovator too. You don’t have to think according to a set of imaginary rules. Expectations are a great source of power as much as they can be a great obstacle to your success. If we expect to fail we will not think in empowering ways. We do not dedicate action energy to created failing expectations a reality. That doesn’t mean we don’t dedicate thought to create negative expectations. we do that quite often. If we believe that expectation to be the coming reality, we will create it positive or negative. If we want to create the life we really want we have got to expect it can happen. When we expect to succeed, our thoughts become like a magnet directing all our energies to supporting the expectation. The subconscious mind seeks to find solutions to challenges quickly and so it seeks for the most direct route to solutions in the thinking processes. The mind doesn’t really care if the solution is positive or negative. It just wants an answer. When we are on “automatic” pilot, so to speak, our expectations guide thinking almost entirely. Because our mind is always looking for immediate solutions we think and act from a reactive position. Essentially what our mind is doing is trying to protect us. It is constantly analyzing scenarios and situations to prevents us from experiencing harm or other things we may need to defend against. So how can we build positive expectations? Positive and empowering expectations must be build on purpose and ahead of time. They cannot be reactionary. Why must they be planned ahead of time and how can that help? In order to explain why it is important to plan ahead of time what you to expect let me address an important characteristic of how our mind remembers. Try to remember two things, notice which of the two things is easier. 1)What was the date that United States entered world War 2? 2)What did your first love look like? If you are like most people you found the first question to be much harder than the second. Why is that? The first question dealt with the recall part of your memory. It was a cold hard fact your mind went searching for. The second dealt with recognition. You probably also spent a lot more time thinking about the second question and you might even still be thinking about it now. emotion is attached more to recognition than recall. for those of you who are familiar with the 5 ways the brain learns this would be experiential learning versus factual learning. This is the point: It is a lot easier for your brain to recognize something than it is to recall it. Back to how this effects expectations. If you build your positive expectations clearly, carefully, and emotionally you will have greater power to recognize these expectations and when you are thinking in harmony with them. Your mind will begin to bring your thinking into a supportive position to these expectations and look for evidence to support your new expectations. Your mind also recognizes what is not in harmony with your expectations and discards those thoughts. Expectation can be used in a positive way. Once we begin to expect things to occur in a way which is empowering to us our thoughts begin to direct our actions to follow that course. What we expect, our thinking will support. Expect good things and your thoughts will follow! If your thoughts follow you will begin to see the fruits of these expectations become a reality in your life. Your thinking will dictate your results. It’s as simple as that. This is our most popular training and It produces instant results and immediate productivity. Spend a week learning about how your mind works and processes the information for need to be successful and realize your greatest outcomes! If you are in a funk and your not sure why or maybe things are going fine, but just not fast enough. You have got to learn how to kick it into high gear! Your most powerful results await you! 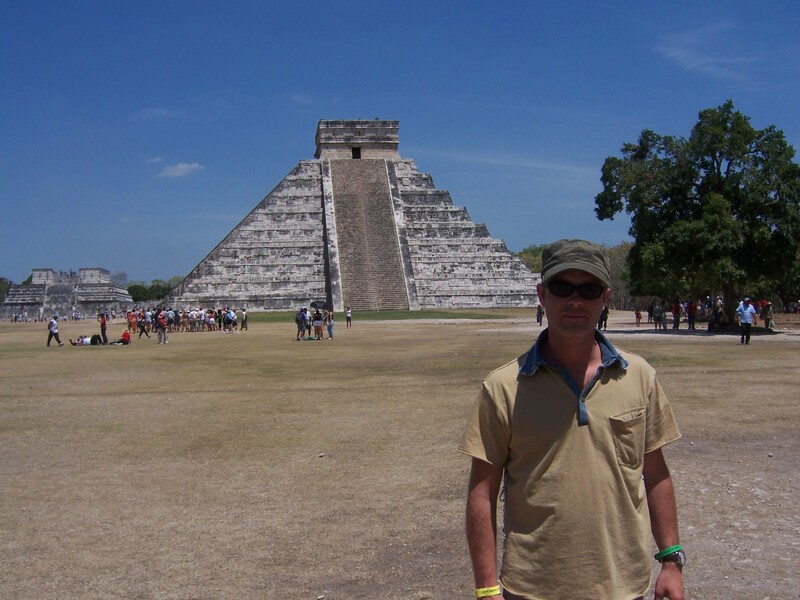 February 13 – 17 – Mayan Riviera – Public Event – Powerful Thinking Powerful Results retreat – Space is limited! This package does not include travel or accommodations. This event takes place on an all-inclusive resort. We encourage participants to stay at the resort for a best value experience. Please feel free to contact us directly for special travel arrangements we have for our attendees. As a side note this educational getaway is typically tax deductible and eligible for continuing education credits! – How to training your brain to stay focused with what matters most! – Getting greater clarity with your goals! – How to overcome negative thinking! – What every manager needs to know! – The 3 mistakes of the mind that sabotage even the most motivated achievers! 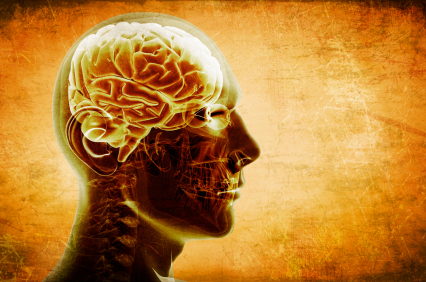 -Persuasion and sales from a brain science point of view! -Why and how decisions are made! …and more! This is an incredible training that benefits anyone who is self employed or trying to make a home business work. In addition, if you are fascinated by your mind and how the brain works you will not want to miss this event! Seating is limited to only 25 participants to ensure maximum opportunities to participate and apply the skills and techniques presented in the course. WE LOOK FORWARD TO SEEING YOU IN MEXICO!!! This is an incredible training and holiday opportunity. In addition to the incredible lessons you will learn we always have a good time. lots to do! Lots to see! Doug’s mind is the most brilliant out of the box tool you your business could have. The quick simple tweaks he sees that you don’t create massive massive results. Doug works from his heart and will not rest until he knows that you have gotten way way more then you could have ever imagined. It is your responsibility to let your mind grow and to make sure that your ideas take off. The best in the world work with coaches constantly. The VERY best work with Doug. If you ever have the opportunity to work with Doug, do your future a favor and jump on it NOW. Doug Vermeeren knows what he is talking about. He’s dynamic and wise and definitely worth listening to. Since the late 1990’s Douglas Vermeeren has been conducting the Powerful Thinking Powerful Results seminars through out North America. The program has focused on how thinking an modern neuroscience shape our day to day activities and help us achieve the results and outcomes we want. This program has made a difference to many professions in the financial planning industry, real estate industries, among sales professionals and more! This highly sought after program has been recognized for continuing education credits in may fields and has been the subject of many articles and books. But now things are about to get bigger! Douglas Vermeeren, who is also known as the creator of film The Opus, expressed his excitement at the deal. “I think media is being very under used in the personal development world. These tools can be used to teach in such powerful ways. Not to mention the sizes of the audiences they can reach. It is astounding.” On the surface this may appear true, but why didn’t it work for Tony Robbins. He can fill seminars with thousands of people but his television show, ‘Breakthrough’ on NBC was cancelled after just two episodes. Is the world ready for personal development on TV? Currently there are no confirmed dates for the airing of the first episode, but all sources confirm that production has begun. We will post on this story as it develops. You may remember Marie Diamond from the hit film and book The Secret. Well now she’s joined the faculty at the Monthly Millionaire Mentor! Marie is well known for her humour and practical insights into the law of attraction and energy. We encourage you to visit The Monthly Millionaire Mentor where Marie’s practical lessons are now available for members! What we believe becomes our reality. An interesting story illustrates this point. Harry Houdini is considered by many to be the world’s greatest escape artist and master magician. Some felt that because of his unique escape talents that he was greatest locksmith that ever lived. He was so confident in his own abilities that wherever he went he delivered the challenge that no lock or restraint could hold him. These challenges even included escaping from formidable jail cells which he did as he travelled through Europe from 1910-1912. The conditions of the escape were simple. Houdini kept his regular street clothes on, and after being thoroughly search was locked inside the cell with no audience. Within a specified time limit he would free himself. Every time he accepted this challenge he escaped. A small town in Britain invited Houdini to accept a challenge to escape from their jail. This jail cell was the pride of their police force. It was a brand new cell constructed with the most recent technology available. Houdini accepted the invitation and was locked up. After the room was cleared Houdini took off his jacket and got to work. Hidden in his belt has a flat 10 inch metal tool Houdini had designed to pick locks. He began to work on the lock, but soon he began to realize there was something different about this lock that he had not seen before. For thirty minutes he worked and worked and got nowhere. He tried everything he could think of to open the lock with no luck. His confidence began to fade and his thoughts shifted to the possibility of defeat. Time continued to pass. He continued to struggle against the lock. Covered in sweat and passing the point of exhaustion he collapsed against the door. To his surprise the door gently swung open, revealing that it had never been locked in the first place. What we believe becomes our reality. Because Houdini had believed the door was locked he fought against it using the knowledge and experience he had gained from previous encounters. His expectations and beliefs limited him rendering him helpless. What beliefs are currently locking you down from escaping the false prisons that are keeping you from your greatest self? We have all heard that Thoughts become things. This is true. They do become things. The question that most people struggle with is how do they do this? It is estimated that each day we have more than 70,000 unique thoughts. So what is it that controls our thoughts? How does our mind select which thoughts to develop and which thoughts to ignore? How do the prominent thoughts become things? What happened? Where was the break down? How could an idea so bright and exciting turn dim or disappear altogether. Perhaps it’s a business idea that you feel would make a lot of money. Or perhaps it’s an idea or innovation that would make life easier for someone somewhere. Maybe an idea about someone you would like to have a relationship with? Or what you should do to improve the health of your own body? These are all common ideas that we are excited about, but we don’t allow them to grow. They remain unfulfilled in our mind. What we expect dictates what we believe could happen. Meeting someone we didn’t like the second time. (It is true that it’s important to make a good first impression.) We’ve all had a time when we have met for a second time someone that rubbed us the wrong way when we met them at first. Based on the first interaction all visits that we may have with them in the future may be jaded. Physical characteristics – this idea of being jaded by someone can even follow to others who have a similar resemblance to the one who rubbed us the wrong way. I had an experience where I recognized that I became a friend with someone because he resembled someone I was already very close to. I didn’t realize it until my wife said ‘you know who your new friend reminds me of?” and then she pointed out the resemblance between my friends. Here’s an interesting addition to this story, even though the new friend was rude, sarcastic and less than charming, I still try to think of him in positive ways because my expectations had been previously set by the first friend who was kind, loving, caring and a genuine friend. The same can be seen in people that win the lottery. Countless studies have shown that many lottery winners end up with little or no money after a few years. I believe this has a lot to do with the principle of entitlement. Their mind did not believe that the reward was paid for and so it did not hold the value in their mind necessary to sustain it. So a great question I would have is who determines the price you have to pay? That’s right, in the end you do. And until you feel that you are truly worth the reward often times you can’t bring it into your life. It’s time to rethink things a bit. A friend of mine is a police officer who often arrives first on the scene after a car accident. Once when we talked about the power of social expectation he shared the story of an accident he was called to sort out. This accident could have been avoided if social expectation were not an issue. One lady had rear ended the back of a man’s truck. It was a beautiful sunny day and the road conditions were ideal in every way. As my friend pulled up in his squad car he expected it would simply be a case that the lady was not paying attention. To his surprise when he obtained the statement from the lady she said she saw the truck ahead of her, she wasn’t caught off guard and she wasn’t surprised. She just had no where to go. What about switching lanes quickly or moving to one side to avoid the collision? She answered, well, I thought of that but wasn’t really sure if that was allowed. And I didn’t have time to make an appropriate signal of a lane change. Thank goodness no one was hurt. But the social expectation of staying in the lane is an example of something she had learned socially and what was expected of her in terms of signaling overuled her ability to avoid the collision. The second experience I have seen at numerous seminars and motivational events. This lesson is often used by the speaker to teach people to think differently and to consider that there are often more direct routes than those we initially consider to solve a problem. Am I allowed to be so bold in my thinking? Or I can think it, but is it proper to act on it? What will others think? And so on. All of these doubts extinguish powerful thinking. And even worse than this is the thought that ‘things just aren’t done that way.’ Or there is a procedure that must be followed in order for it to be done right. In some cases this may be true, but often the very best ways are discovered by innovators who look for a better way than that which is considered traditional. If we want success and to create the life we really want we have got to expect it. When we expect to succeed, our thoughts become like a magnet directing all our energies to the success of the thought. Why must they be planned ahead of time and how can that help? In order to explain why it is important to plan ahead of time what you to expect let me address an important characteristic of how our mind remembers. I am going to ask you to remember two things, notice which of the two things is easier. What’s the point? This is the point: It is a lot easier for your brain to recognize something than it is to recall it. Your mind will also recognize what is not in harmony with your expectations and discard those thoughts. Later in this course we will talk about how to build stronger expectations to overcome doubts that may exist within your subconscious mind. 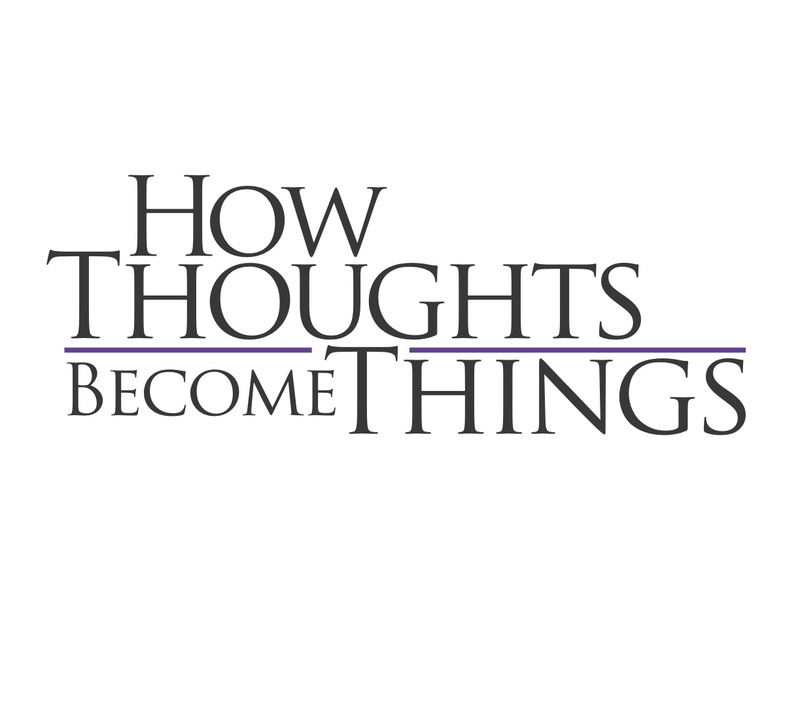 How Thoughts Become Things is a brand new movie that unfolds the power that thought plays in creating the results we want most in our lives. How is it that our thought create our reality and how can we harness that power?